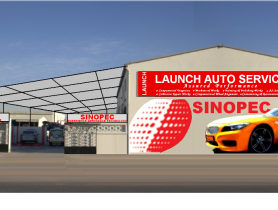 The Car Spa is an automotive subsidiary of Abu Dhabi Supplies & Commercial Services (ASCS) 17 group of companies. ASCS has been operating for over 25 years with divisions in Life Support for the Military, Operation and Maintenance, Vehicle Leasing and Maintenance, Logistics, Construction, Sponsorship and Manpower Supply, I.T., Recruitment, F&B and General Trading throughout the Arabian Gulf. The Car Spa builds on more than two decades of achievements by dynamically serving the present and growing marketplace as a knowledgeable and trustworthy company offering innovative services and products. Our mission is to provide a spa-like range of services for your vehicle be it a car, motorbike, or yacht. We also provide LIVE and on the ground car care services during privately held events. Our client front-end operation located in Abu Dhabi caters to the needs of individuals and companies (with large fleets) by providing services both in-house and on-site. Utilizing our Jebel Ali Free Zone warehouse facility, we import, store and forward products to our regional offices and clients located throughout the Arabian Gulf. Supportive staff. Excellent service. Carry out jobs as described. Car Service, The Car Spa, Car Repair Workshop in SE-36, Car Repair Workshops in Abu Dhabi, Abu Dhabi Workshps, Car repairs in Abu Dhabi, Workhsops near me, Car Service Center in in SE-36 Abu Dhabi, Mechanic Near me, Mechanic in Abu Dhabi, Car Repair Workshops.